All American women vote today thanks to Tennessee. Tennessee was the last state of the then-48 states that could possibly ratify the 19th Amendment which granted all American women the right to vote in 1920. Editorial cartoonists called the state "The Perfect 36" since three-quarters of the states were necessary for ratification. After Gov. A.H. Roberts signed and sent Tennessee's ratification papers to Washington, D.C., Secretary of State Bainbridge Colby issued his proclamation on Aug. 26, which became known as "Women's Equality Day." Votes for women became the law of the land. Ninety six years later, a monument to the suffragists' victory, commissioned by Tennessee Woman Suffrage Monument Inc., was unveiled in Nashville's Centennial Park last week. There is nothing outside the state capitol building that depicts this historic event. By having this monument in Centennial Park, which has a historic connection to the suffrage movement, it will be seen by thousands of visitors. 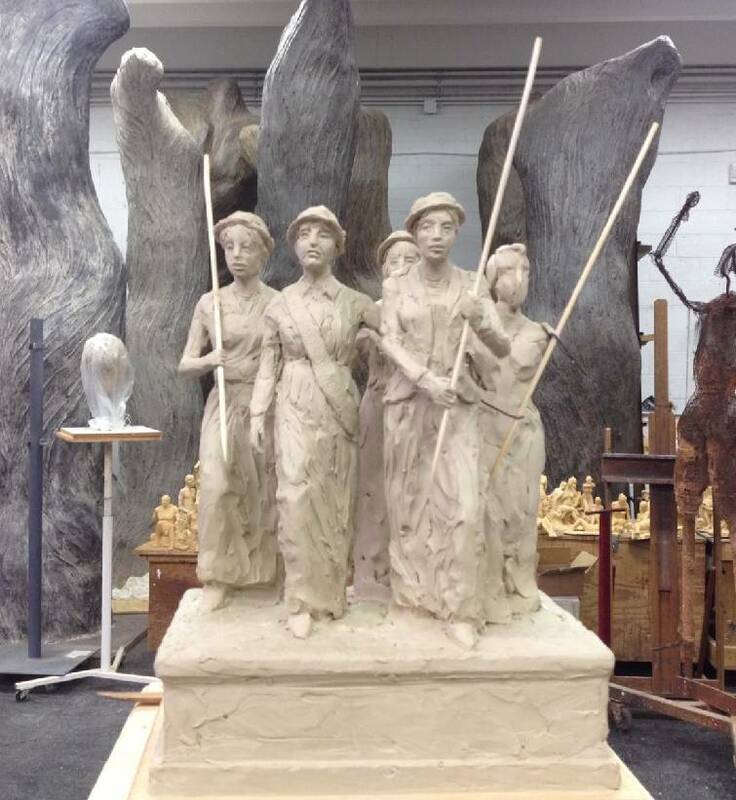 This privately funded $900,000 monument is sculpted by renowned Nashville artist Alan LeQuire, who created the 19th Amendment bas relief sculpture that hangs inside the Tennessee State Capitol and Athena Parthenos inside The Parthenon at Centennial Park. It features five women who were in Nashville during the final ratification effort — Abby Crawford Milton of Chattanooga; Anne Dallas Dudley of Nashville; Frankie Pierce of Nashville; Sue Shelton White of Jackson; and Carrie Chapman Catt, the national suffrage leader who came to Nashville during the summer of 1920 to direct the pro-suffrage forces. Milton spearheaded the suffrage movement in Chattanooga and served as first president of the Tennessee League of Women Voters during the 1920 ratification campaign. She held a law degree and helped Lookout Mountain Suffrage League secure local enfranchisement for women in 1917. She recruited workers for the cause from diverse groups across the state. As the last president of the Tennessee Equal Suffrage Association, her leadership was manifest before, during, and after the ratification. According to the Tennessee Historical Quarterly: "Abby Crawford Milton was the youngest of the Tennessee suffrage leaders. Born in 1881, she was 38 years old when the amendment passed; she gave birth to three daughters during the years of the movement's most dramatic growth, from 1913 to 1917. Wife of the publisher of the strongly pro-suffrage Chattanooga News, Milton was active in state politics even though she could not vote. After her husband died in 1924, she attended law school in Chattanooga, but never practiced law." Our statewide volunteer board has worked for nearly six years and overcome a lot of obstacles to make this monument happen. However, what we had to go through pales in comparison to the struggle the suffragists went through to win the right to vote for us. This monument is for the ages, especially since there is a dearth of statuary featuring women. A hundred years from now, people will be reading about these remarkable women. They might also be amazed that there was a time in this country when women couldn't vote. Paula F. Casey of Memphis, president of Tennessee Woman Suffrage Monument Inc., helped publish The Perfect 36: Tennessee Delivers Woman Suffrage.